Security breaches are making big news in 2014 and it's only the first few months of the new year. Target and Healthcare.gov are topping the news headlines. But other than not using credit or debit cards, and not using the internet for anything, what can you do to protect your sensitive data? It may seem overwhelming. After all, Target and the Healthcare.gov are not small unknown entities, yet breaches occurred. As we mentioned in a previous blog, these breaches are usually the result of a rush to get a product out, overlooked vulnerability, poor security design or even an inside job on the part of the company breached. But looking at the percentages of breaches overall, company targeted breaches are very low. It's like comparing the number of flights a day to the number of crashes. One crash is horrific and makes headlines but compared to the number of opportunities for crashes, it's a very small risk. Read this article for more insight into why companies keep getting hacked. Here at SafelyFiled, security was a design priority from the very beginning...and still is our number one priority! Consider a site's security. Look for the lock on the web site's url and certification. Many times, the certified address shows up in green, but not always. Stay up-to-date on security news. There is all kinds of information available on latest vulnerabilities and ways to stay safe. Keeping up-to-date also ensures you can minimize the risk by taking proactive precautions if you think you may be affected. Any time you complete an online transaction involving sensitive personal data, delete your recent browsing history. In Internet Explorer, Firefox, or Chrome, pressing Ctrl+Shift+Del (Cmd+Shift+Del on Mac) brings up a window that lets you clear specified data during a specified time period. You can clear just the last hour, if you like, or clear your browsing history "from the beginning of time." If you prefer not to be tracked by companies and other entities while you're using the internet, this article by PCMag talks about how to stay anonymous online. It talks about some of the things we've covered already but includes additional information that you might find helpful. Many believe that their information is safe on their computer or tablet. If your tablet or computer is ever used online, then it is susceptible to contracting viruses and malware without your knowledge. You should scan your devices regularly for viruses and malware and keep your antivirus software updated to ensure it keeps up with the latest threats. But running virus scans after the damage has been done is like shutting the gate after the horses have escaped. If you store important and sensitive data on external hard drives, that's better by far. But when you attach those hard drives to an infected system, they too can be compromised. It's best to keep sensitive information off of devices you use to connect to the internet. 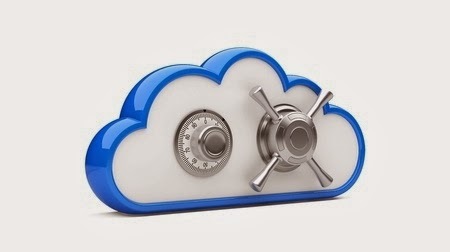 If you want them in a place where you can access them with your devices from anywhere, a virtual safe deposit box service like SafelyFiled.com is a great option. When you upload your files into SafelyFiled, we run a virus scan on them and alert you immediately if they are infected. In this way, we keep the existing files in your account safe. What about you? 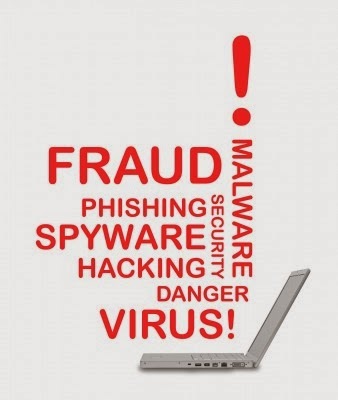 Have you been a victim of identify theft or a data breach? Share what you've learned in the comments below and let us know of any tips you've learned to keep your information and identity safe.